We are a community of Christians that has sought to serve the Erie area for almost 180 years. 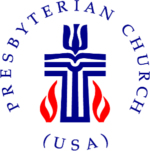 We are Presbyterian, which means we are governed by elders and deacons. Our worship services strive to be a warm combination of both reverence and joy, of the past and the present. We also offer many other events and social activities. Please take a look at our Events page.